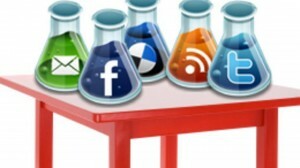 Be wise while choosing the social media marketing platform for your business. Social media is now in its booming stage and it is adding up more and more platforms and channels in its domain. It is Starting from YouTube, Facebook, Twitter and ending nowhere. Almost every month we hear about the addition of at least one new social media platform to the world of the Internet. Businesses were initially reluctant to allocate any portion of their marketing budgets to social media, but nowadays, social media marketing is becoming a top priority for most businesses. No doubt on the existence of the dominating platforms of social media, which are still Facebook and Twitter. Establishing a strong social presence on the major social networking sites is no longer an optional but a necessity. Any business organization that hasn’t already started allocating its budget to these platforms should do so sooner than later, and must do it wisely. It is also a very important decision to select the platforms and the best social media channels for marketing. There are many factors to consider when selecting the social media platforms for business promotions. A social media platform can be used for inbound as well as for outbound business marketing. Many HR departments are using Social media for their inter-departmental communication and for sending informal notices. For the purpose of business promotion, sales and marketing, a social media platform must be selected by considering the demographics, location and social aspects of the targeted customers. Like any other marketing and promotion strategies, social media marketing strategy also requires critical thinking and analysis. Social media marketing is an ongoing process and it also requires the experts to handle the execution of the process. A good number of analysis and researches have shown that the consideration of age groups is very important for social media marketing, as well as sales promotions. 17 to 35 years are the age groups which can be the potential customers on the internet world. There are many other reports indicating that older customers are now being involved in social media activities. Start taking your business to where your customers and prospects are. Many experts are experimenting the social media platforms to involve human resources on their individual levels in the process of marketing and sales of products. Micro niche blogs, websites and forums are all examples of personal marketing. Many multinational firms are outsourcing their social media marketing. Outsourcing is the best and the most cost effective method to increase sales while having a good return on investment.